Have you ever wondered why your instructor was first interested in music? How their musical voyage began? ? What kind of music they listen to on their spare time? 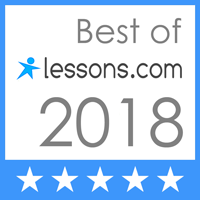 You can now learn all about the Note-worthy instructors in the Teacher Feature section of our website! Every month, we feature a different teacher and learn all about their individual musical journey. Discover the unique styles and stories of the diverse Note-worthy team.